According to the blog, Dr. Zemmel says, "Breast reduction is a procedure that can achieve both a functional and cosmetic outcome." Having performed this procedure for patients 16 to 70-plus years of age, he describes typical candidates for breast reduction as women with large breasts who are experiencing prolonged pain in the head, neck, and shoulder regions, as well as a continual rash underneath the breasts. Additionally, he notes that patients who simply desire the cosmetic appeal of smaller breasts can also be candidates for breast reduction. In regard to points of differentiation between his three techniques, Dr. Zemmel highlights that a vertical breast reduction involves a centralized vertical incision, the Wise pattern technique -- also called a full breast reduction -- requires both a vertical and horizontal incision, and breast reduction using liposuction necessitates only a few, smaller incisions. However, just as the techniques differ, so do the advantages and disadvantages for each method. Dr. Zemmel goes on to identify some of these pros and cons for the three techniques throughout the post. Also included in the blog entry are Dr. Zemmel's answers to questions like: "When should a patient consider breast reduction? "; "What is the most common age range for breast reduction? "; and "How do you set realistic expectations and formulate goals with a patient?" To read his answers in their entirety, visit the Richmond Aesthetic Surgery website. A graduate of the College of William and Mary in Williamsburg, Dr. Zemmel earned his medical degree from the University of Virginia School of Medicine. He then went on to "match" into the prestigious six-year Plastic and Reconstructive Surgery program at Virginia Commonwealth University Medical Center in Richmond. At his Richmond plastic surgery practice, he offers a comprehensive range of plastic and reconstructive procedures spanning from breast augmentation to skin cancer treatments. Dr. Zemmel is also certified by the American Board of Plastic Surgery and an active member of the American Society of Plastic Surgeons, the Medical Society of Virginia, and the Richmond Academy of Medicine. He is available for interview upon request. For more information about Dr. Zemmel and Richmond Aesthetic Surgery, visit richmondplasticsurgery.com, plus.google.com/109479035144616950506/about, and facebook.com/drzemmel. 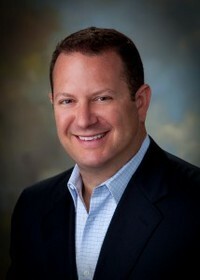 To view the original source of this press release, click here: http://www.richmondplasticsurgery.com/in-the-media/richmond-plastic-surgeons-blog-reveals-key-breast-reduction-information/.